Ever wonder what goes into an organic inspection? We have been farming according to organic principles on this land since late 1981, even before the first Canadian Organic certification body was formed. As you can imagine, over the years since then the regulations have changed and so has the inspection experience. Our annual third-party inspections under the Canadian Organic Regulation now provide a valuable assurance to the individuals and families who choose our food that the land is cared for according to those standards. By extension it is an assurance that the food grown on that land is healthful and nourishing to you! Today, as part of our continuing commitment to certification, we have a full time Compliance Specialist: the very talented and passionate Vincent Strickland. Vincent shares what happens at our annual inspection in this blog. A good inspection is one where there are no surprises…and I am happy to report our 2017 Organic Inspection was a good one! It was earlier than usual this year. 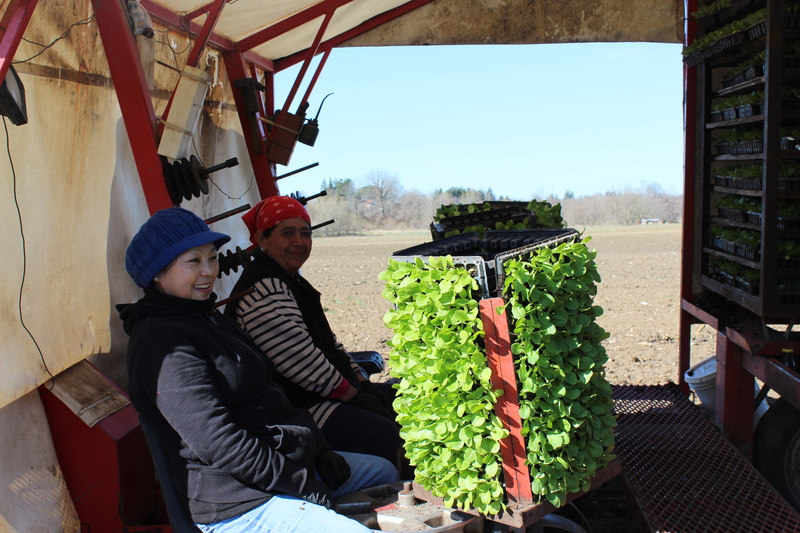 We typically have our organic inspection in August or September, during the middle of our local growing season. 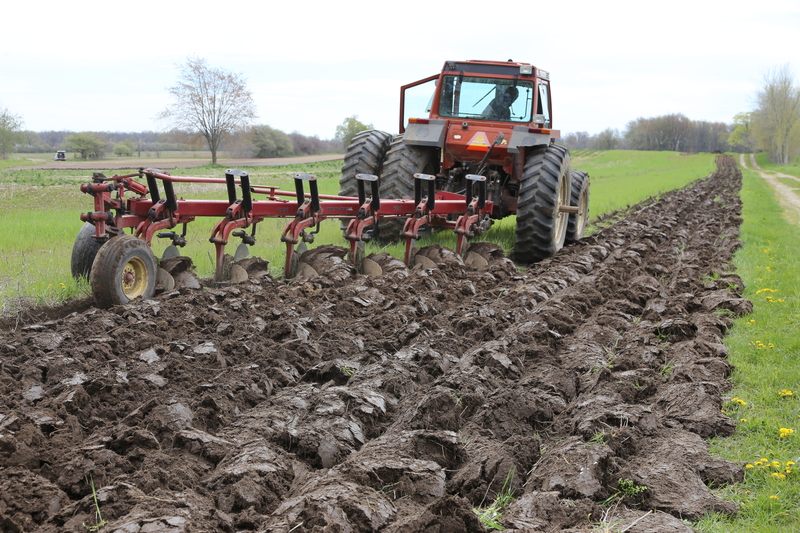 But this year the routine was shaken up a bit and we had it earlier in the season when we are mostly doing our field prep and planting. The day with the inspector starts at 8am and after a few minutes of hellos we head straight to the fields. This year Pfenning’s is farming 10 locations within the immediate area of New Hamburg and Baden, after acquiring 2 new locations which are currently in transition to organic management. The inspector and I visit each field and talk about buffer areas to neighboring fields, planted crops (or this early in the season, planned crops), as well as any soil amendments and fertility applications (e.g. compost, cover crops, micro-nutrients). This takes most of the morning. A significant piece of growing organic crops is managing risk from neighbouring fields. 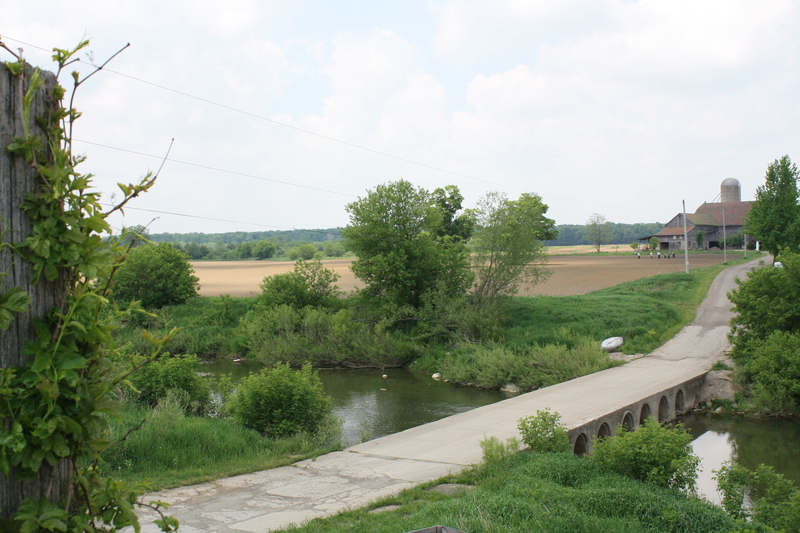 Much of Pfenning’s lands are bordered by woodlots and the Nith River, however there are key fields that border with our conventional neighbours. We must make sure our buffer strips are adequately spaced so we don’t experience any spray drift of the inputs used by our neighbors. The most complicated piece of managing our fields while taking our neighbors’ crops into account is mitigating GMO contamination. The Canadian Organic Standard has a note that ‘generally accepted isolation distances’ for corn is 300 metres! But there are very few places where this is a black and white solution when it comes to planning what to plant and where. 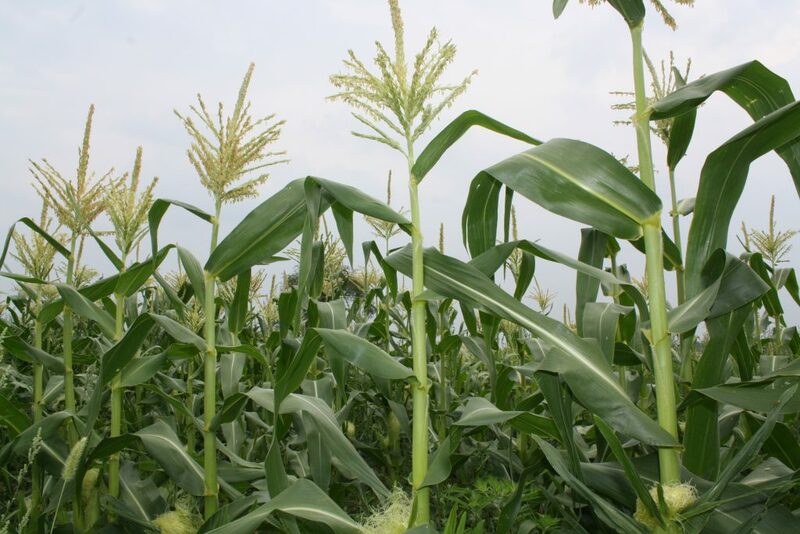 Other measures can be employed to manage the risks of conventional GMO corn crops from impacting a close organic corn crop, such as timing of planting, tracking tasseling and silking of the two crops, prevailing wind and weather during pollination times, variety considerations, and even infield crop testing. It’s up to the organic farmer to employ…and document…these measures in order to be granted an organic certificate. These are just some of the conversations I had with our inspector as we roamed about our fields. We spent time in our packing facilities and warehouse as well. The inspector was looking at things like our packaging, pest control devices, lot numbering system and making general observations that we are maintaining the ‘organic integrity’ of the produce in our care. By the afternoon we were ready to dive into our records. Inspection day is just one day of the nearly 365 days that Pfenning’s operates (minus a few holidays), so a good portion is spent reviewing records since our previous year’s inspection. The idea is that we should be able to show that we are doing what we say we are doing. Each organic operator has an “Organic Plan” that they outline and their records show that they are following it throughout the year. Lastly, we conduct a live traceability exercise to show how our recall system would work in the event of an issue. Then we discuss any items the inspector noted during the day that are written on the final Inspection Report Summary that’s given to the certification body for review. A lot of time goes into our certification programs – organic & food safety – and it’s very gratifying to have a positive, productive inspection!